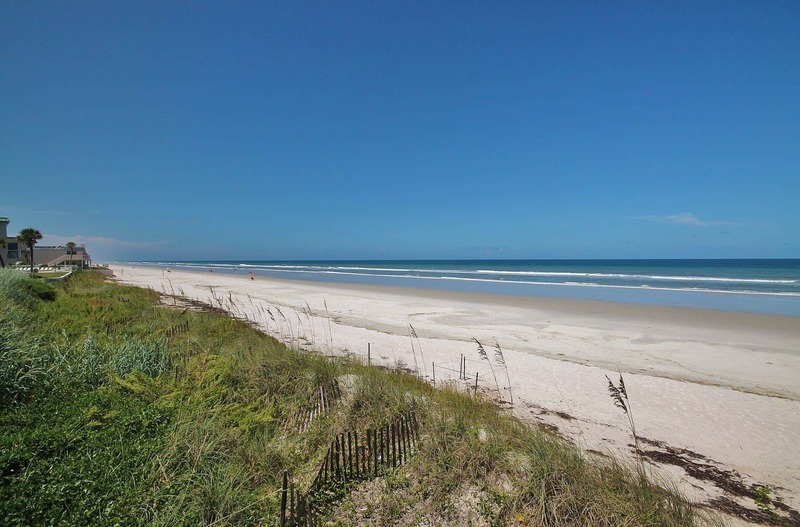 Silver Sands, located on New Smyrna Beach’s non driving section, provides incredible oceanfront and Oceanside views. 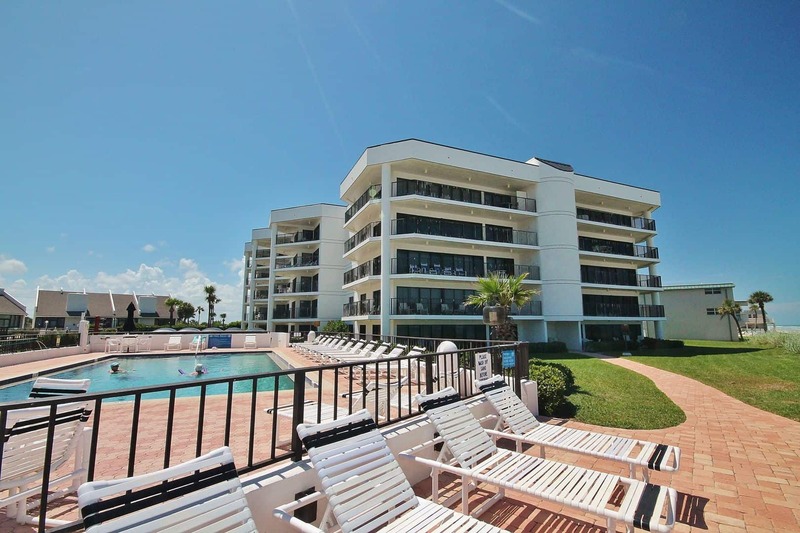 Silver Sands was built in 1983 and offers 35 units that are either 2 or 3 bedroom units. Visit Where Floridians Vacation! This complex has a seasonally heated oceanfront 24’ x 42’ pool, located only steps from the wide sandy beach. 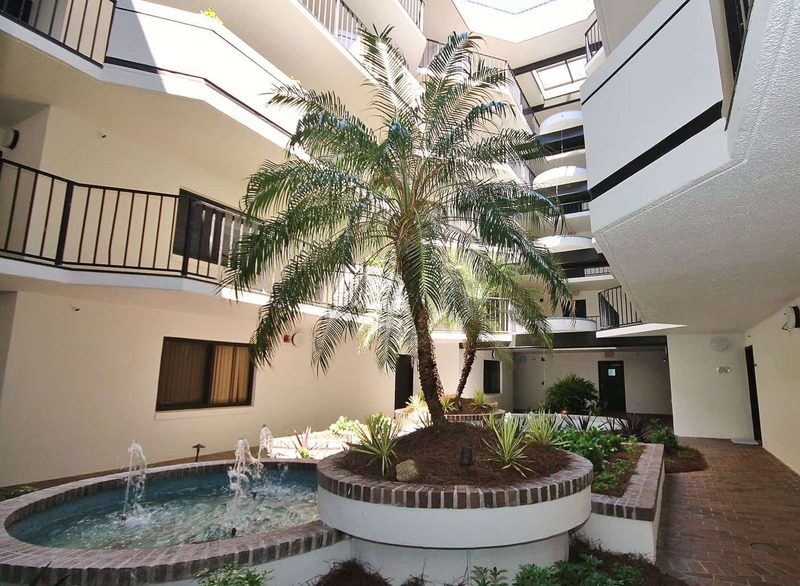 Due to its location on the south side of the property, this swimming pool gets beautiful Florida sunshine all day long! Silver Sands’ wrap around decks provide great ocean and beach views, and the architecture, complete with a handsomely-landscaped atrium in the middle, delivers an unmatched tropical backdrop for your beach vacation. What’s Near Silver Sands Condominium? Silver Sands is located on the southern end of New Smyrna near restaurants, Turtle Mound- an ancient Indian shell mound, and lots of prime fishing spots. Flagler Avenue, and the historic section of New Smyrna Beach are only a short drive north up the Atlantic coast. If you’re in the mood for an exciting day trip, all of Central Florida’s well known attractions are nearby. Disney, Universal Studios and Islands of Adventure, and even Sea World are under 80 miles away. There is plenty to keep you entertained around Silver Sands. What Else is Going on at Silver Sands? 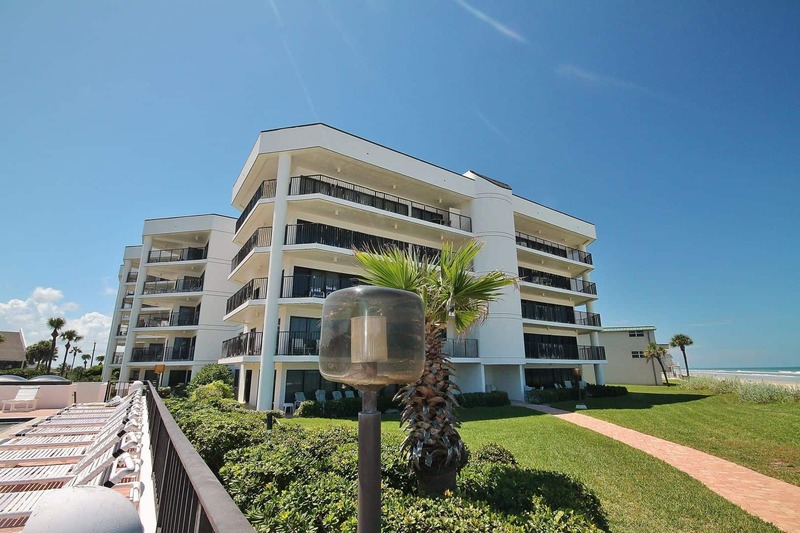 In addition to the beautiful landscaping on 2.5 acres of oceanfront property; in addition to the plants and foliage, waterfalls and fountains in the atrium, Silver Sands boasts an oceanfront pool and a tennis court. Each unit here comes with a fully equipped kitchen, a washer and dryer, and linens. 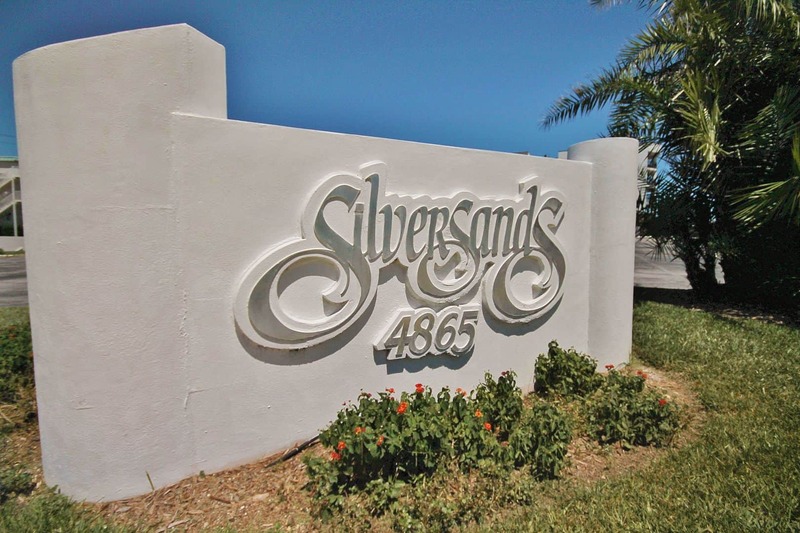 Reserve Quickly – Silver Sands Units are Popular! 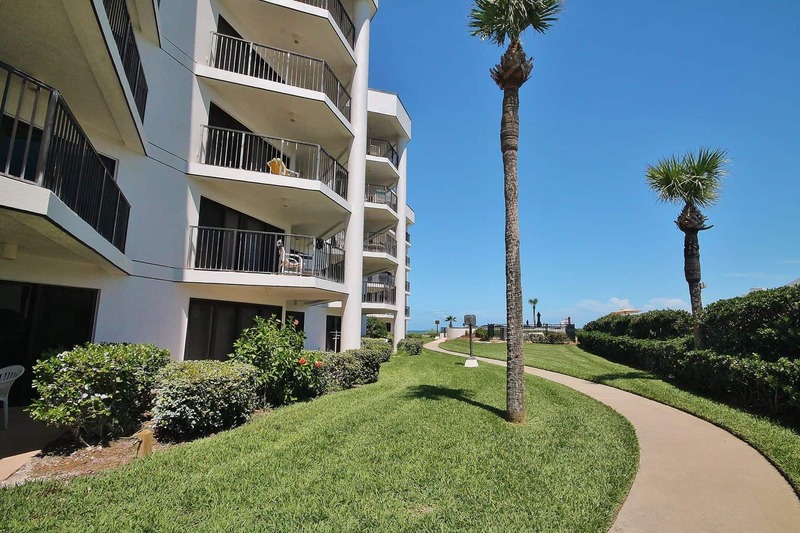 Excellent oceanfront location, beautiful ocean views from the large balconies, attractive atrium flora, and amenities like the pool and tennis courts, make Silver Sands units top picks for your beach vacation. These oceanfront condos will book quickly. Our inventory is in real time, so if you see a unit that meets your availability – take it! You can book your beachfront condo online in minutes. Plus, reduce your travel anxiety with the travel insurance purchased at an affordable rate. 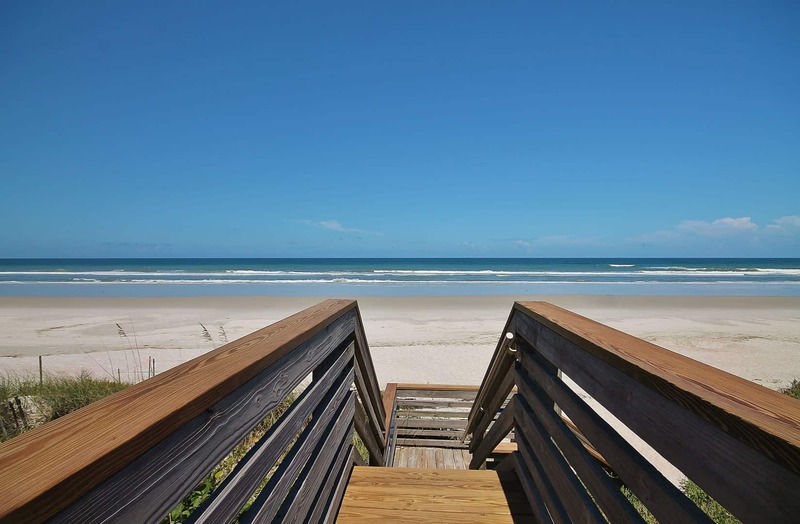 Search the Silver Sands rentals available now and book your New Smyrna Beach vacation today.